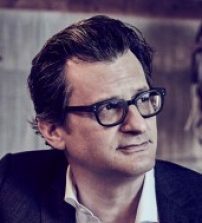 Ben Mankiewicz is the primetime host of Turner Classic Movies. When he made his TCM debut in September 2003, he became only the second host hired in the network’s history. During his career at TCM, he has introduced thousands of movies on the air and conducted long-form interviews with roughly 200 of the industry’s top talents, including Warren Beatty, Martin Scorsese, Mel Brooks, Damien Chazelle, Sophia Loren, Faye Dunaway, Michael Douglas, Lou Gossett, Jr., Billy Bob Thornton, Jerry Lewis, Cicely Tyson, Eva Maria Saint, Ann-Margret, Robert Wagner, Norman Lloyd, Leslie Caron, Angie Dickinson, Elliott Gould, Peter Bogdonavich, Carl Reiner, Joan Collins, Tom Ford, and most recently, Robert Redford. Ben is also a regular co-host for the on-line political show he co-founded with Cenk Uygur in 2002, The Young Turks. Since 2015, Ben has hosted numerous nights of the International Documentary Association’s Conversation Series, a career retrospective Q&A featuring the leading documentary filmmakers working today, including Errol Morris, Werner Herzog, Alex Gibney, Wim Wenders, and Rory Kennedy. In 2018, he hosted the American Society of Cinematogrpahers Awards. He’ll host again in 2019. Ben lives in Santa Monica with his beautiful wife, their beautiful daughter, one perfect dog, one other dog, and one puppy, who is evil.